MicroPro Sienna Treated Wood uses the only wood preservative technology that is low VOC and certified as an Environmentally Preferable Product. Innovative colour pigment technology gives the treated wood a warm, finished look. Lifetime Residential Limited Warranty. See PDF for complete warranty details. Panel that is easy to cut, drill and nail for projects not requiring structural panels. 1/4 OSB panels are manufactured using wood strands and waterproof adhesives, and do not contain added urea-formaldehyde resins. The wood strands are arranged in cross-oriented layers to provide strength and performance properties similar to an equivalent thicknesses of plywood. The result is a wood panel that is consistent in quality with no core voids. No special tools are required to work with the panels. Eon Ultra premium resin decking and railing made from a 100% low maintenance engineered polymer material. Eon Ultra does not contain wood fibres or any other organic material so it is resistant to mould, mildew, bacteria and insects. EON Ultra will not fade, splinter, warp or crack and is virtually maintenance free. No sanding, staining or painting required. Eon Ultra Decking is backed by a 25 Year Warranty. No need to shop anywhere else, Eon offers a complete solution for your decking project from start to finish. HardieBacker is the original fibre cement backer board. Made of 90% premium Portland cement and sand, it is the underlayment that best protects against damage from moisture and mold behind walls, floors and countertops. Its strength, ease of installation and durability make it the ideal product for wet area applications. HardieBacker is the superior choice among other cement, glass mesh and gypsum boards for tile, vinyl, carpet, and wood flooring installation. 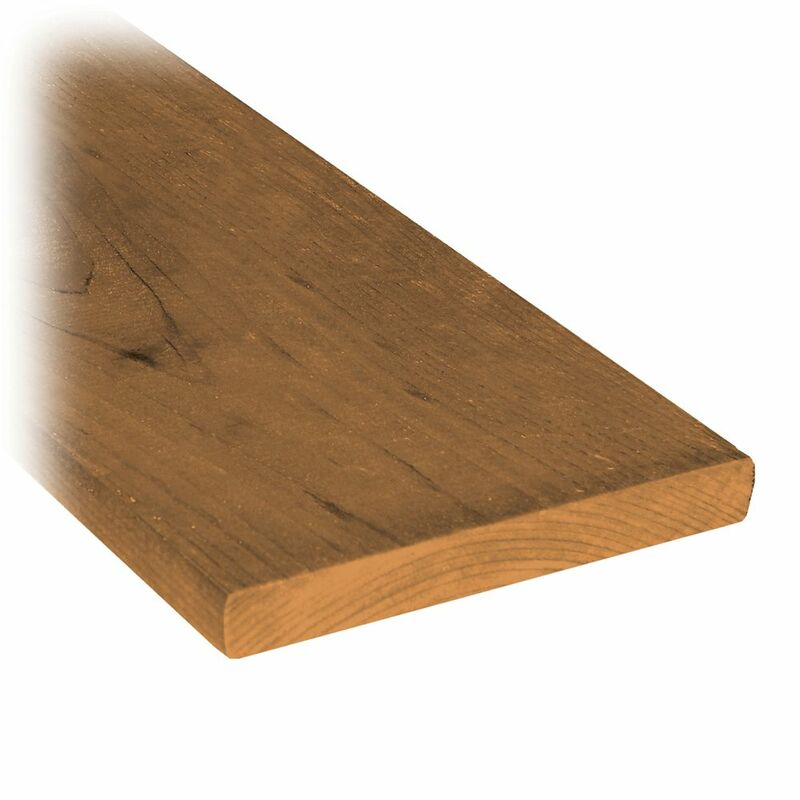 1 x 6 x 4' Treated Wood Fence Board MicroPro Sienna Treated Wood uses the only wood preservative technology that is low VOC and certified as an Environmentally Preferable Product. Innovative colour pigment technology gives the treated wood a warm, finished look.